If you haven’t had the chance to get to hear Martin on stage, you might know his son who took home a Grammy two nights ago. Terrace Martin is a jazz musician himself and also a producer for Herbie Hancock and rapper Kendrick Lamar. Omaha Performing Arts’ 1200 club is known bringing national jazz musicians the stage at the Holland Center, but this Friday, Curly Martin, Terrace Martin and friends will remind audiences of the talent born and bred right here in North Omaha. Omaha, NE—Robert Owens, prominent African American composer born in 1925 passed away just this year, but he was relatively unknown in the states until the last decade. Tonight at UNO, Reimer along with pianist Stacie Haneline, cellist Karen Becker, and violist Clark Potter will perform Owens’ work—three American premieres of chamber music, and four pieces written recently by Owens for Reimer, and some selections from Owen’s major influences. Omaha, NE—Visual artist Nancy Friedemann-Sánchez, born in Bogota, Colombia, has been a resident of Lincoln for 6 years after a 20 year stay in NYC. 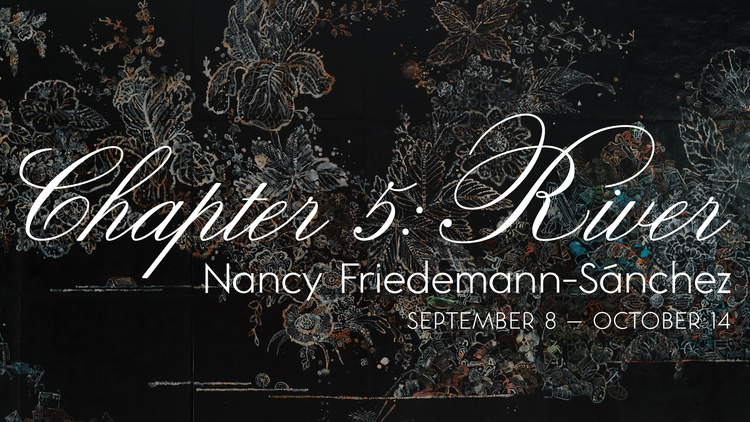 Her work has been shown in various Nebraska galleries, including Darger HQ and Project Project in Omaha, and her next exhibition, Chapter 5: River, will open at the Union for Contemporary Art this Friday. The collection builds on her most recent exhibitions, representing a personal and cultural narrative.